Hello friends. 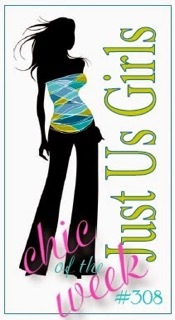 Today I am sharing a card I made using the colors of the Just Us Girls Challenge and will be sending to a friend. 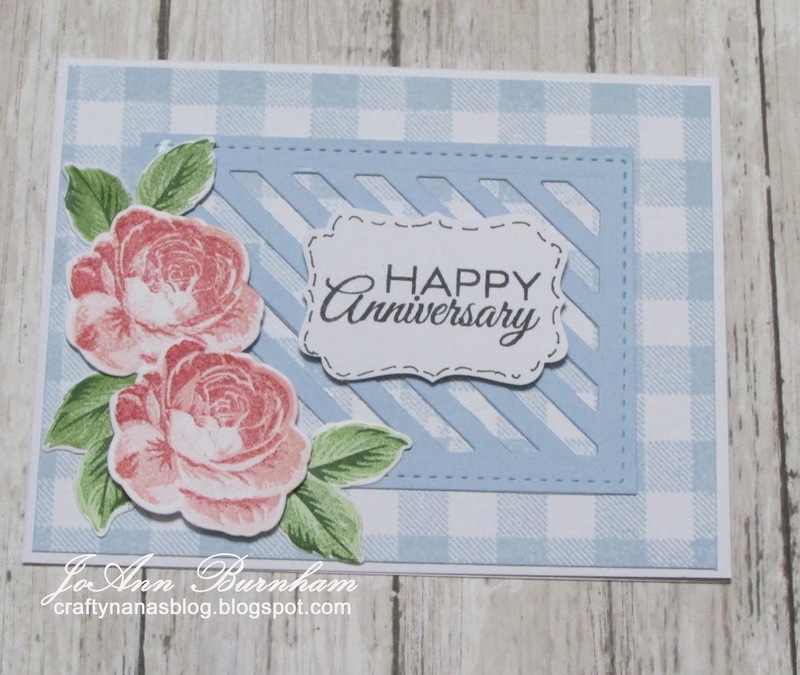 The image and the leaf border die cut are from SU Wonderful Romance stamps and matching dies. 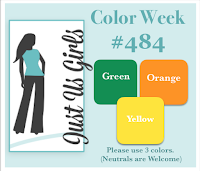 I colored the image with SU Blends - Calypso Coral (orange) and Granny Apple Green. I die cut it and mounted it with foam tape. I also added small yellow pearls to the centers of the flowers and a double bow with White Baker's Twine. The sentiment is from SU All That You Are. I stamped it at an angle to blend with the shape of the floral image. The yellow dotted paper is from my stash. 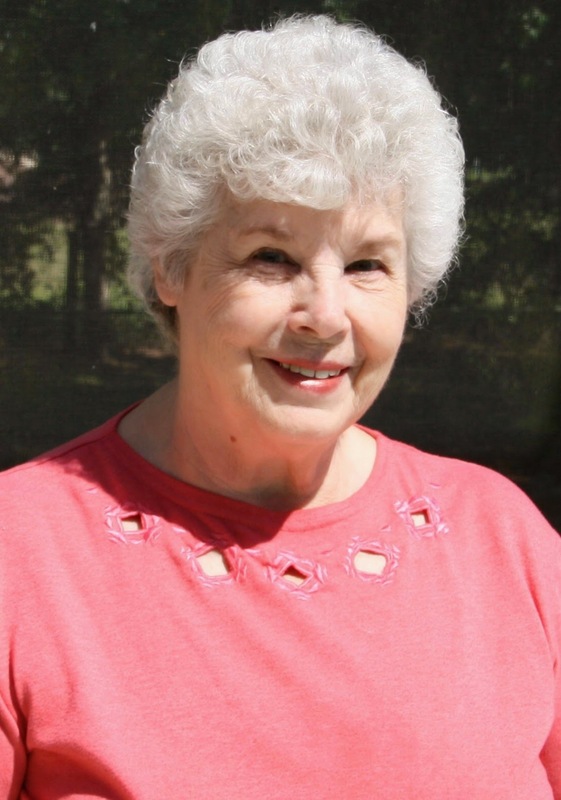 Thanks so much for stopping by and I really appreciate it when you take time to leave me a comment. I hope you have a wonderful day. Hallelujah, Christ has risen indeed. 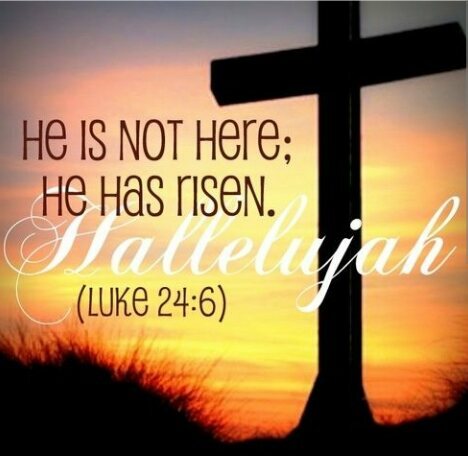 I hope everyone had a blessed day. I am sharing an Easter card I made for our pastor and his wife. The card base is Smokey Slate and I stamped the images with Smokey Slate ink. The images and the crosses are from SU Hold on to Hope and Cross of Hope stamp and die sets. 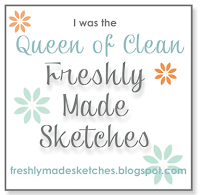 The sentiment is from another stamp set. I inked the banner and then took off the ink from the included sentiment. After stamping the banner, I then added the new sentiment. 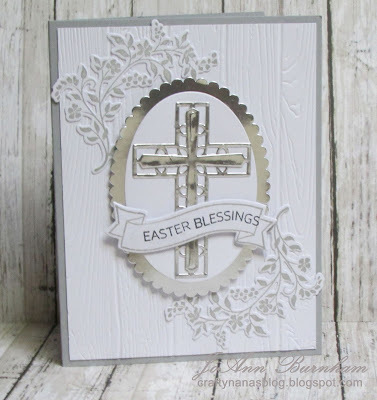 I cut the two crosses and the scalloped mat from silver foil paper. The white panel is embossed with the SU Pinewood Planks EF. 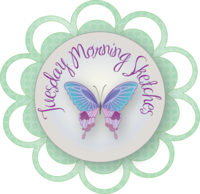 The scalloped panel and the sentiment are mounted with foam tape. Thanks so much for stopping by. I appreciate it when you take time to leave a comment. Hello friends. 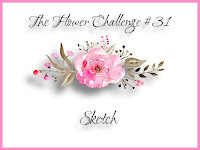 Today I am sharing a card I made for a friend using the sketch at The Flower Challenge. 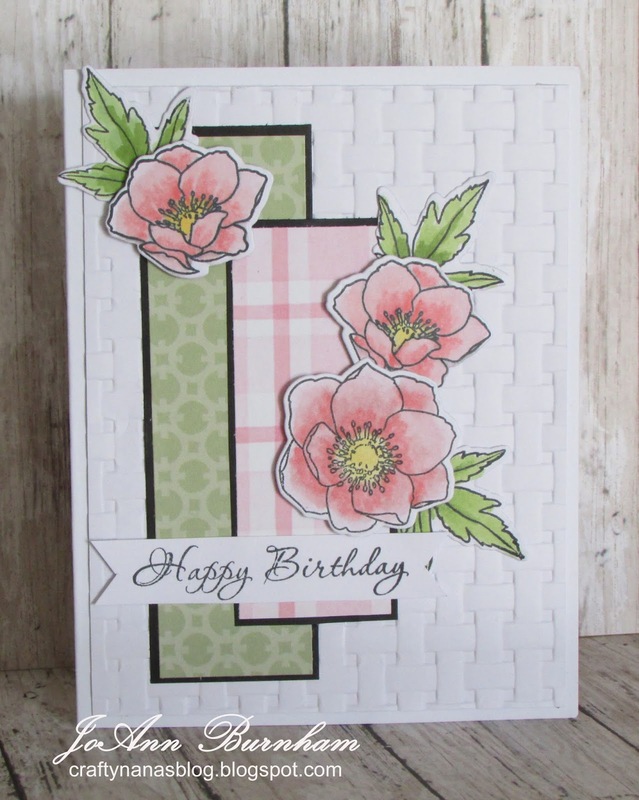 The flowers and leaves are from W Plus 9 Modern Anemones Set with the matching dies. 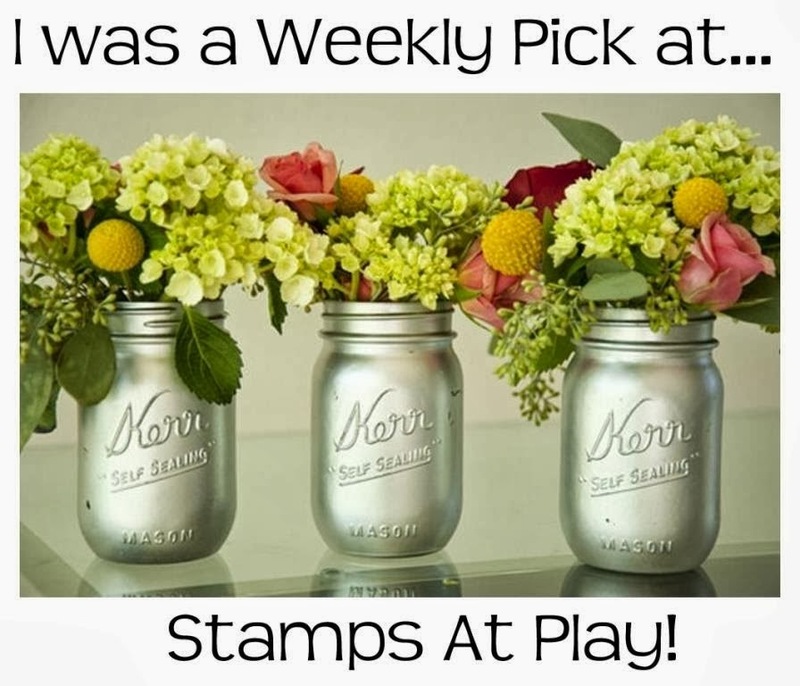 I colored them with Stampin Up Blends and then die cut them. They are mounted with foam tape. The white panel is embossed with SU Basket Weave EF. The pattern paper is from my stash, not sure who it is by. I added thin black mats to make them pop from the background. The sentiment is from Simon Says Stamp It's Your Birthday. Hello Friends. 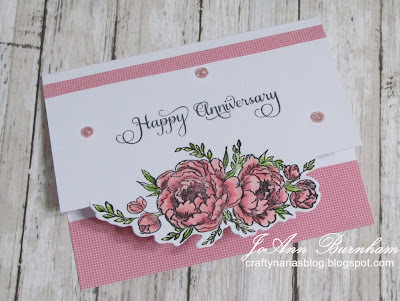 I am sharing another anniversary card I made for some dear friends. 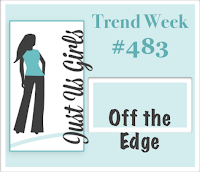 I used the challenge at Just Us Girls - Off the Edge, for my card inspiration. 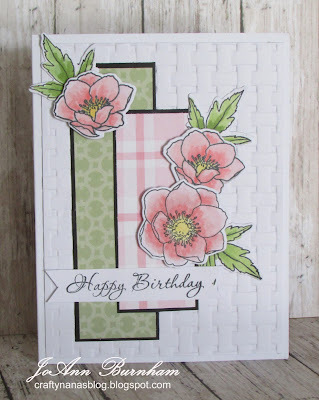 I used my new stamp & die combo by Gemini called Peony. It has the stamp and two edge dies to cut out the whole image, but I just used one on the outside edge. I got this on a shopping trip to Hobby Lobby. I used Altenew markers to color the image (my first time using them). The sentiment is from Just Rite Large Fancy Sentiments. I love the font in this set and have used it quite a few times. I added some pink glitter gemstones for a little glitz. I then added some Recollections pattern paper to the inside of my card and also a narrow strip on the top of the card for balance. 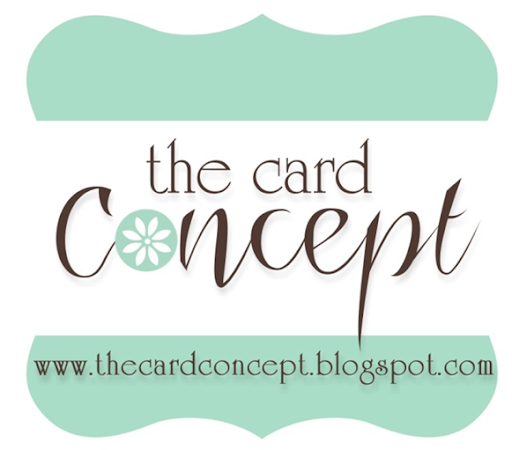 I really like the way my card turned out. 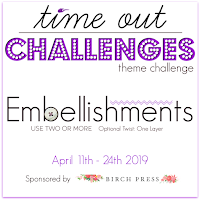 I saw the Time Out Challenges was calling for embellishments, and one layer cards and I am joining them as my card fits both categories. Hello Friends. 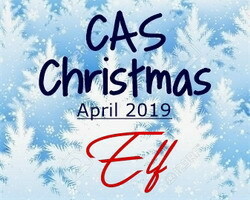 A friendly reminder that there is only 1 week left to join in the fun over at CAS Christmas challenge where April's theme is Elf. 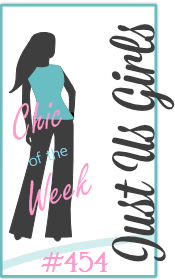 I have really enjoyed being the Guest Designer for April and look forward to playing in their future challenges. 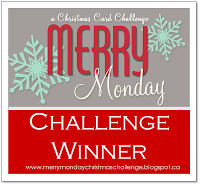 It is always great to get your Christmas cards done before the December rush. 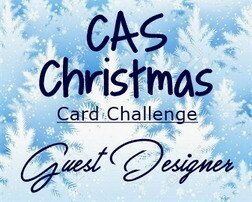 Thank you again to all the CAS Christmas team for such a warm welcome. 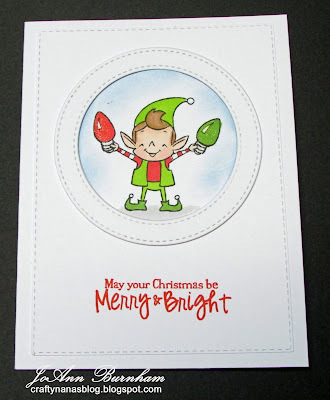 Here is my card with this cute elf and sentiment from Sugar Pea Designs Merry Makers. 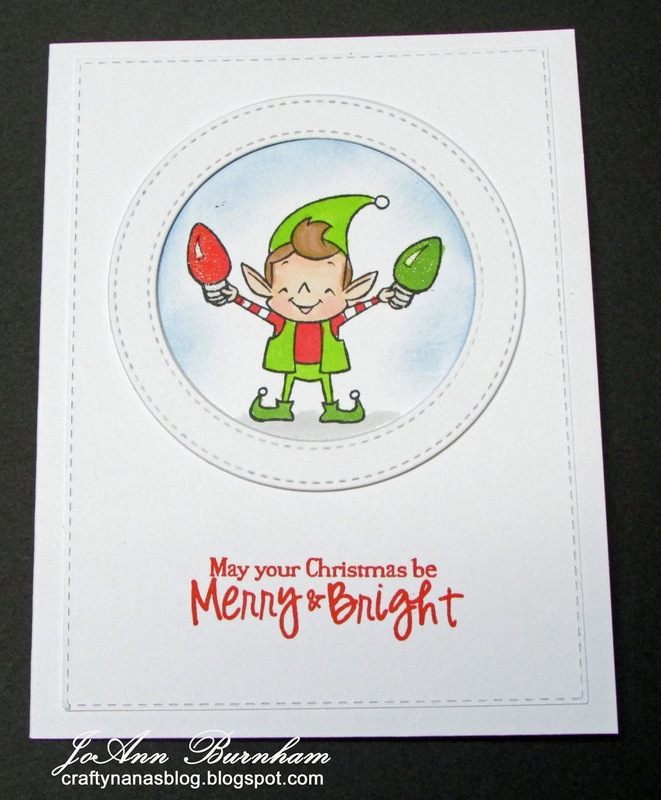 I stamped him on a panel cut with a stitched rectangle die and colored him with Copics. I then sponged lt. blue ink around him. The Stitched Circle Frame is from MFT and mounted over the image. 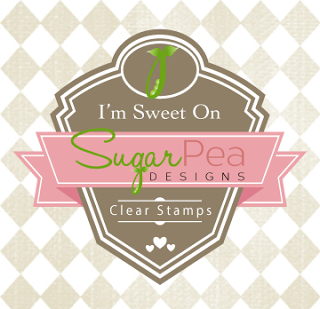 The sentiment is stamped in SU Poppy Parade ink. I also added Wink of Stella Clear Glitter pen over the Christmas bulbs. Hello Friends. 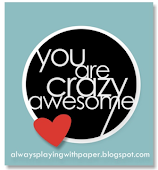 I have another anniversary card, for a couple at church, to share. 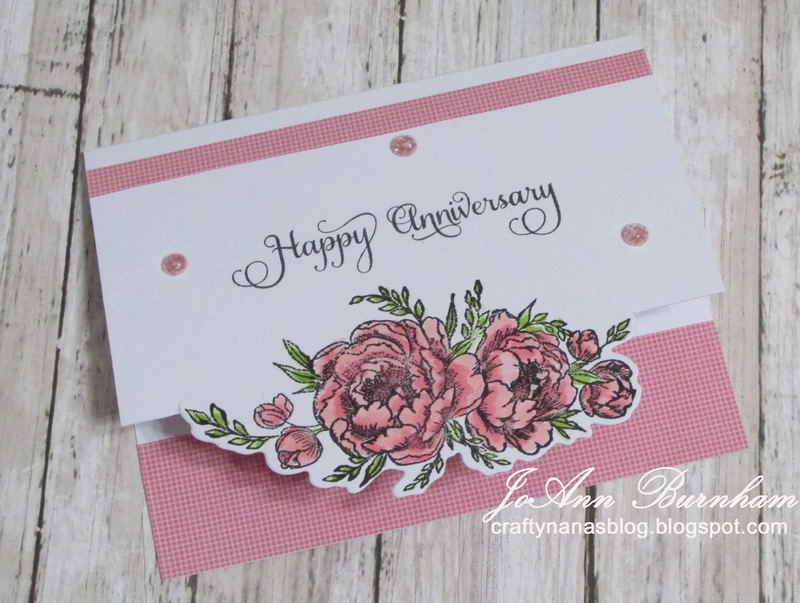 The roses are made with Sunny Studio Everything's Rosy stamp and die set. The white looking area is a very pale pink ink. I used 3 shades of pink ink and 3 shades of green ink for the leaves. 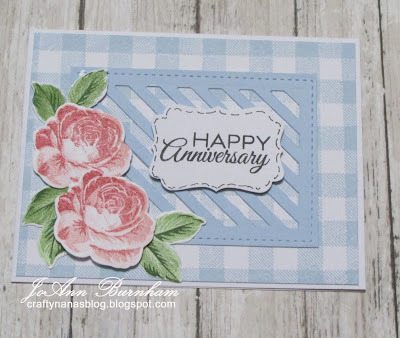 The background is made with Concord & 9th Plaid Background Stamp and MFT Blue Breeze ink. 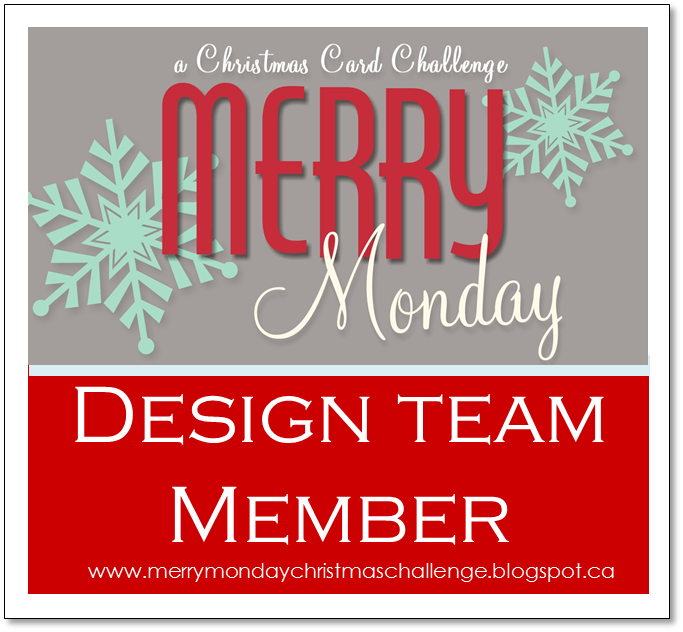 The diagonal die cut is by Papertrey Ink cut from MFT Blue Breeze cardstock. The sentiment is a Verve stamp and is punched with a retired SU label punch. I did some pen stitching around the edges of the label punch. The sentiment panel and the roses are mounted with foam tape. Hello friends. 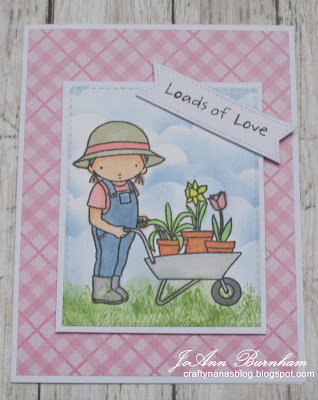 Today I am sharing a card requested by my sister for her great-granddaughter, who loves to garden with her mom. 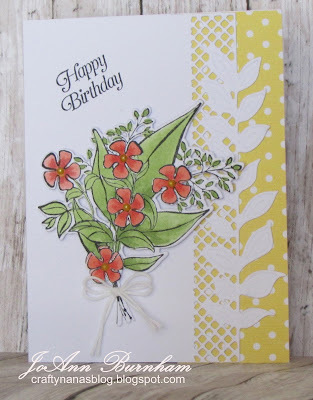 I used the cute MFT Loads of Thanks set, stamped with Momento Tuxedo Black ink and colored with Copics. I used an old grass stamp to add the grass and lt. blue ink and a Taylored Expressions Cloud border die for the clouds. 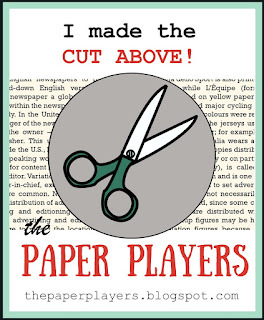 I cut it with a stitched rectangle die and added a white mat. 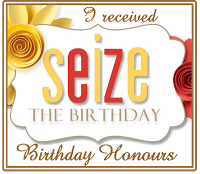 The sentiment is a combination of two stamps from the set. I masked parts of them to make my sentiment. I then cut it with an MFT Stitched Fishtail die and added it with foam tape. The image panel is also mounted with foam tape. 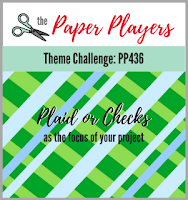 The plaid pattern paper is from JoAnn's.